Creating intercollegiate connections to challenge the status quo. To celebrate our member institutions’ innovative ideas and accomplishments, the Alliance established an online video showcase. To watch a video, hover over the thumbnail image and click on the magnifying glass that appears. CofC uses undergraduate research "matchmaking" events to encourage undergraduate students and faculty to collaborate on research projects. ETEAL uses three core initiatives, as well as a number of secondary initiatives, in our strategy to enhance student learning, faculty experiences, and advance Applied Learning for all of UNCW. The aim of this strategy is to devote our resources to support faculty development and enriched, applied, high-impact learning experiences. The Maker Hub is Elon’s first makerspace open to all Elon students, faculty and staff. A makerspace is a space where you make things. You can print your digital designs on a 3D printer, sew programmable blinking lights into your shirt, build and program a robot arm, learn about circuits, build the next great iOS app, or meet up with some friends to play with LEGOs. It’s a space where you have access to tools, supplies, materials and knowledge that you can’t always access on your own. 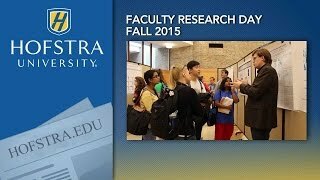 Hofstra’s Faculty research day allows its many active and accomplished faculty to present their research accomplishments, past and present, completed and ongoing, in poster form for discussion. The event is an important link, connecting students with undergraduate research opportunities and building awareness of the range, variety and nature of all the research taking place at the University. It’s fascinating and useful for all of us to learn what we do, individually, behind the scenes, beyond the committee or casual contact, as professionals in our respective fields. ICAT provides an experiential and transformational learning opportunity for students who are eager to engage in technological, entrepreneurial and creative activities. To learn more, visit http://sb.cofc.edu/centers/icat/. From engineering to fashion design to sociology, the ExCITE Center provides various opportunities for the "unusual suspects to have spontaneous collisions," pushing each other's research in new directions. 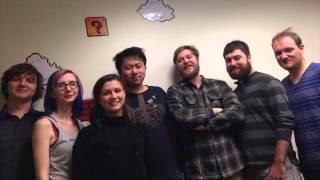 Hear from some of the students, faculty and partners who have worked together on exciting projects at the ExCITE Center. 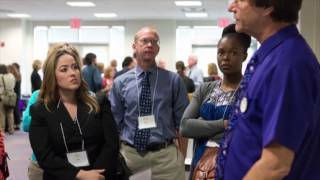 The Center for Faculty Innovation (CFI) provides comprehensive professional development opportunities for JMU instructional faculty at all levels and stages of their careers.